Creating installation projects in your school gives students a daily reminder of how creativity can impact their spaces. It also gives the administration and other staff new insight into their students’ talent. 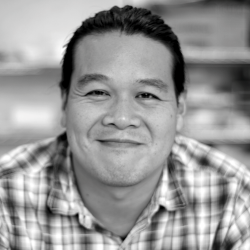 If you’re looking for some artists to inspire you and your students, you’re in luck! Here are 4 installation artworks to inspire your students. 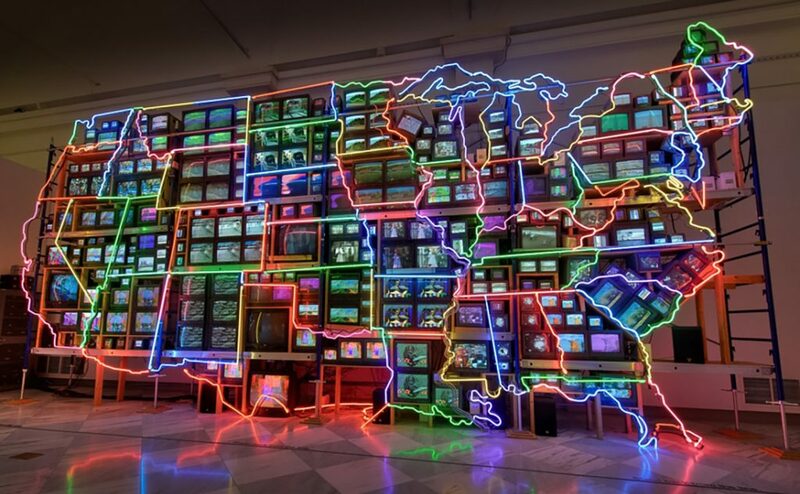 For this piece, Korean artist, Nam June Paik, was inspired by the US interstate highway system. The gigantic installation overwhelms the viewer with constant information and imagery via neon lights and video monitors. States, outlined in bright neon and filled with video clips, reference the artist’s imaginings of iconic symbols and experiences from each state. Paik was one of the first to use the phrase “electronic superhighway,” and this installation creates a physical connection to, not just the sheer scale of the country, but also the technical and digital revolution that has enveloped it. This installation is a perfect way to bring students into a conversation around video and digital installations. How can they synthesize and understand media and the steady diet of corporate imagery fed to them? And how can they become more nuanced consumers and producers of work, especially in light of social media and its influence on their lives? 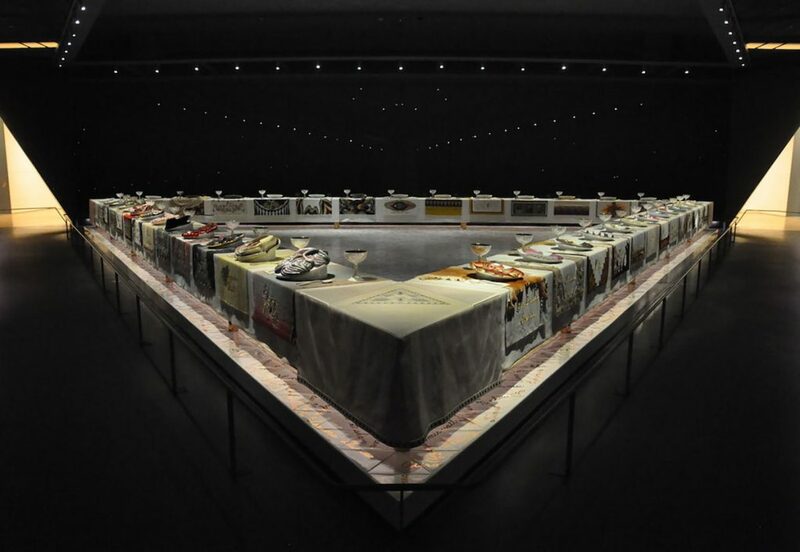 Judy Chicago’s The Dinner Party was a piece signaling a shift in feminist art and the status of women artists. It appears as an elaborate banquet table arranged in a triangle with thirty-nine place settings, each dedicated to a prominent woman from history. 999 additional women’s names are inscribed on the tile floor of the installation. The power of the piece is in how it takes a traditional domestic setting and reimagines it as a space of consequence and importance for women. While this piece is powerful, it’s important to note the place settings are decorated with anatomical and butterfly forms. You know your students best and can decide how much of the information is appropriate to present. 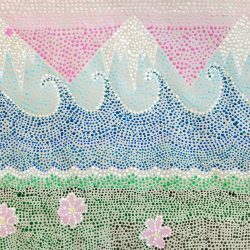 In your classroom, this piece could be an inspiration for collaboration. How could students bring together many different ideas or different pieces of artwork into a single installation? Displaying artwork from many individuals in one large-scale installation can be much more impactful than displaying the pieces on their own. 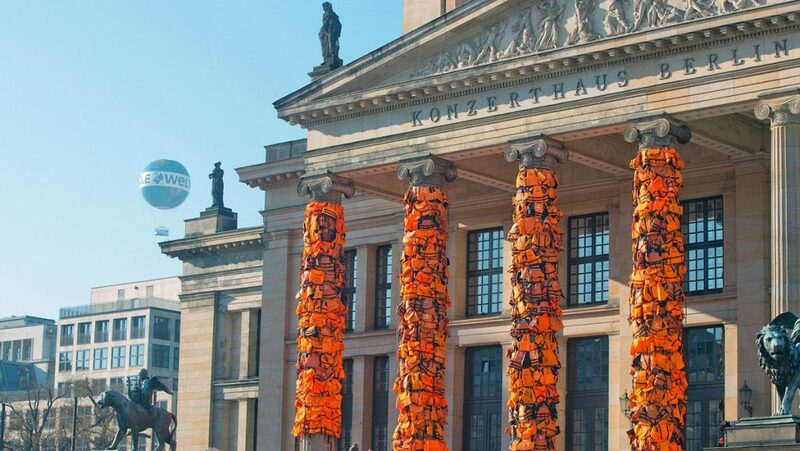 Chinese artist, Ai Weiwei, created a monumental installation on the facade of Berlin’s Konzerthaus. He received and collected 14,000 life vests from refugees who landed on the Greek Island of Lesbos. These refugees had braved the Mediterranean Sea from Turkey in hopes of seeking safety. The artist/activist sought to use the installation to bring attention to the plight of these refugees, something he had done before in previous artworks. It was a piece that transformed the meaning of a seemingly simple object into something powerful and used volume and scale to impact the viewer. Students seeking to address significant events or crises in their lives and the world could be inspired by this piece. Selecting objects that symbolize an aspect of the struggle, and using them to highlight or convey meaning is extremely effective. Shifting the objects out of context, and seeing them as part of a physical piece of work can convey importance or impact in a way a number on a page cannot. Felix Gonzalez-Torres created many artworks that took objects from everyday life and used them as metaphors for love and loss. 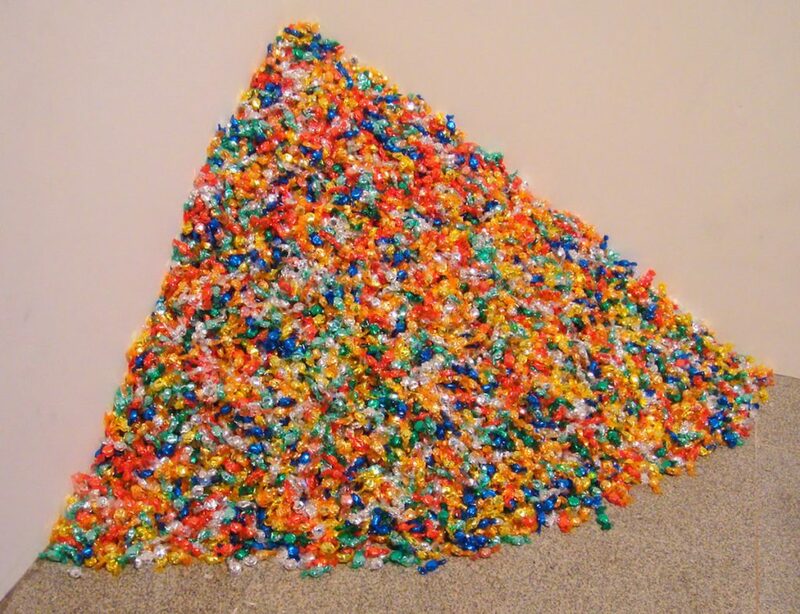 This piece was a particularly tragic example of his work, meant to represent Gonzalez-Torres’ partner, Ross Laycock, who passed away in 1991. Using something most viewers would consider happy and whimsical, 175 pounds of brightly wrapped candy, viewers remove pieces of candy, shrinking the pile and paralleling the weight loss from Ross’ healthy weight (175 pounds) to a much reduced physical condition prior to death. The work is refilled by the museum so that a sort of eternal life is granted to his partner. This interactive work showcases the way art can involve the viewer in its execution. 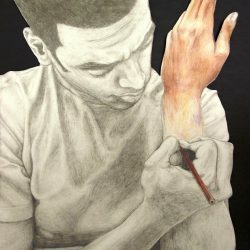 So many students learn artworks can’t be touched in museums. But what happens when the viewer is an essential part of the process of creating meaning with the work? How can students create work that not only encourages, but requires interaction to make the piece come fully alive? Installation art has the power to involve the viewer like no other medium. Use these pieces as a starting point to think about your students’ artistic potential in a whole new way. 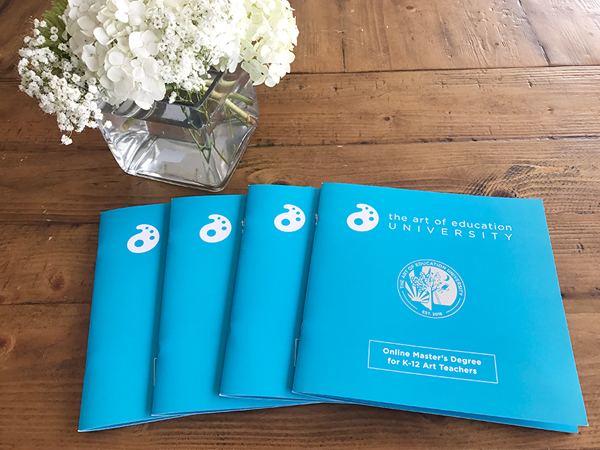 If you are looking for information about how to create installation art with your students, be sure to check out the article How to Help Your Students Collaborate on Big Projects. What are your favorite installation artworks? How do you get students to think about everyday objects as potential artwork?